In this case study, the customer had no management system and wanted to deploy Microsoft Office 2007 to all computers in the domain and pre-configure the user setup process. A dedicated install domain admin account is used to install the product. This account could also be an account that has local admin rights on all clients and read access to the setup files. It is safe to use the account in the logon script, as passwords are always encrypted in FastTrack scripts. All the setup files for Microsoft Office 2007 are in this example located in a directory named Office2007 on a hidden share named \\AcmeServer\Installers$, where only domain admins have access. Refer to Microsoft Technet on Office 2007 deployment for more information on customization. A new file (listed below) is created as \\AcmeServer\Installers$\Office2007\Acme.xml to remove the office setup GUI during installation and a license key is provided. The PIDKEY must be replaced by a valid license key. In the setup folder, one additional file is created to perform and register the actual installation. This script will be launched from the logon script in the context of a domain admin. The script shows a splash screen while installing and on successful installation, it will make a local registration, making it possible to query, if there is an office installation, so user settings can be set in the users' context. This script could easily be expanded to make per-machine modifications. As part of the prelogon.fsh logon script, that executes before the explorer process starts, it is tested whether or not a RegisterInstallation command on Microsoft Office has ever been issued on the machine. If not, the step 2 installation script is executed in the context of the domain admin user "Installer" in the "Acme" domain, if there is more than 20GB of available disk space. 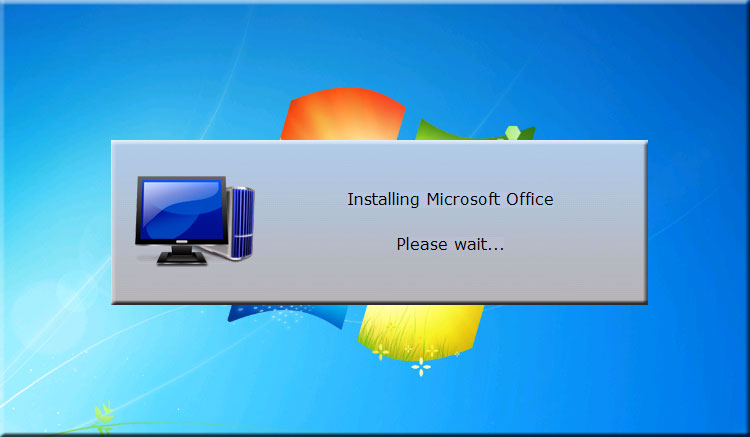 If the Install.Fsh issues a "RegisterInstallation Microsoft Office,2007,1", the installation was successful and the condition "If UserSettingsOnce Microsoft Office Then" will yield true once in the executing user's context. A shortcut to Word and Excel will be copied to the user's desktop. The user can then freely delete them if he/she wants to. The initials and full user name are copied from the domain information to ensure that documents are stamped with the correct user information. An outlook profile is created using newprof.exe from the office resource kit. In this case the customer has used the resource kit util NewProf.exe and two PRF files and placed them in fshbin folder on the netlogon share. Another way of importing a PRF file is to set registry keys and point outlook to the prf file, which will import it when Outlook is run the first time as described in this technet article. The customer has different setups for desktop and portable computers and the correct one is selected using the "If Portable" condition. A template PRF file is copied to a temporary file and the users' initials and mailbox name is then set before import. 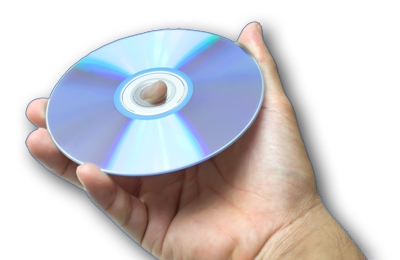 available diskspace. [Return][Return]Please contact the IT department." A shortcut to Excel and Word will be placed on your desktop. [Return][Return]Press "OK" to continue." The first time a domain user log on to a computer that does not already have Microsoft Office 2007, he/she will see this while the installation is in progress. When the installation is complete, the explorer process will start and the user will have Word and Excel icon on the desktop.